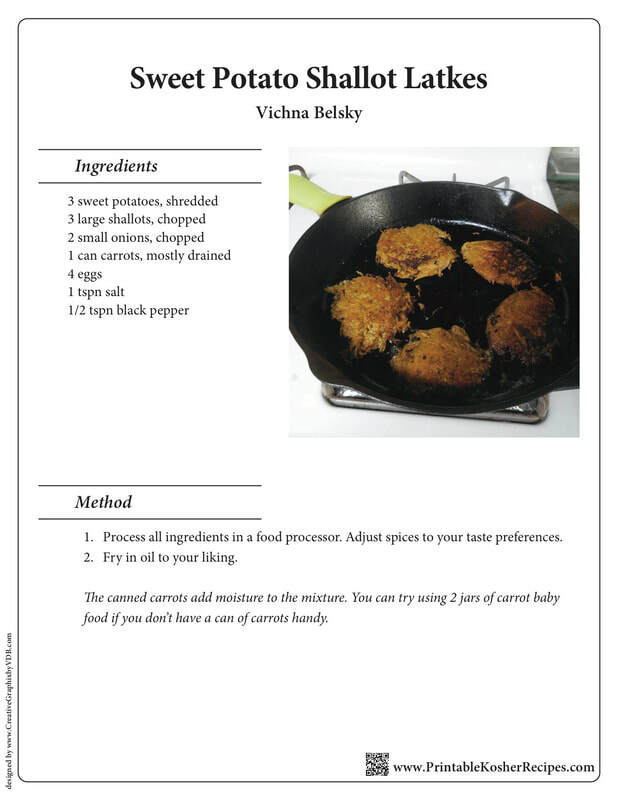 I had 3 sweet potatoes and a few shallots in the house, so I decided to make them into latkes. I asked my daughter to write down what I'm putting in as I go along, and boy am I glad she did! These latkes were seriously delicious. I'm glad I made them pareve, as they were a perfect side dish for hamburgers last night, and the rest will be excellent with sour cream today.